Earlier this year, I wrote about how The Five-Year Engagement over-indulged its actors’ improvisational comedy, which caused scenes to run on for far too long. Director Jay Roach wisely dodges this problem by cutting his new film, The Campaign, down to a lean 85 minutes. There’s clearly plenty of more material as stars Will Ferrell and Zach Galifianakis‘ strong chemistry and comic mastery play brilliantly off each other, especially when the humor gets particularly crass. It’s a film that can deliver big laughs, and yet it features an odd concoction of broad comedy that grazes up against targeted political commentary. The brew tastes a bit off as it highlights a missed opportunity to truly take advantage of the political arena. Cam Brady (Ferrell) is a four-term congressman from North Carolina who looks like he’ll easily cruise to an uncontested fifth term even though he practically flaunts his extramarital affair. However, there’s enough dirt to make his political backers, the Motch Brothers (Dan Aykroyd and John Lithgow), nervous enough to put their money into another challenger—the sweet but dimwitted Marty Huggins (Galifianakis). Huggins truly loves his district and desperately wants to impress his disappointed father (Brian Cox), so he decide to run for Brady’s seat. 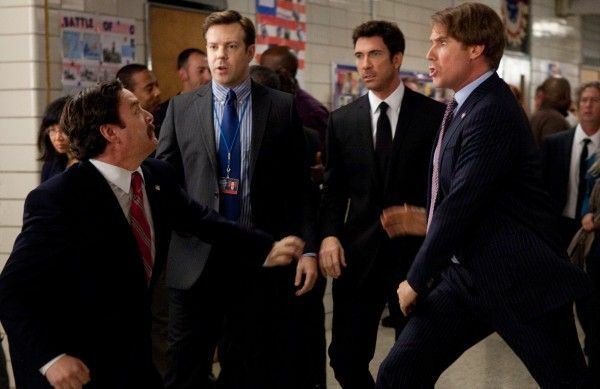 The two political rivals then proceed to tear each other apart as Marty plays puppet to an intense political operative (Dylan McDermott), and Cam retaliates by finding new levels of depravity. Politics in America has always been a ridiculous endeavor. In 1920, rivals tried to besmirch future president Warren G. Harding by claiming he had African-American ancestry. In 2000, George W. Bush was able to win South Carolina by spreading the rumor that John McCain had a black baby out of wedlock (I suppose Karl Rove decided not to mess with the classics). Despite the ludicrous and at times repulsive nature of politics, The Campaign puts this nature on steroids. The film mandates that we suspend our disbelief to reach the understanding that in this world, no scandal can kill a campaign. It’s a necessary concession to the comedy, and it’s also a bit ahead of its time. Eventually, the electorate will have to stop being squeamish about minor indiscretions because the politicians of tomorrow are all on Facebook. When you set aside the notion that a candidate couldn’t get away with tricks like manipulating his rival’s family, it allows the audience to just have fun with the strange and crude behavior of its lead characters. The Campaign is at its best when it gives the characters free reign to riff off each other and play a joke to perfection. It’s can get a bit awkward at times when the movie wants to find a heart when its characters can be so unrelentingly heartless. Politics is shameless, which is why it can be so funny. Marty finds his conscience in a way that’s organic to the story, but the script never quite manages to convince us of Cam’s moments of vulnerability. It’s this kind of unbalance that throws The Campaign off its oddball certainty. There’s not a second of hesitation in how funny it is that Cam could punch a baby and still be in the race, but then the movie wants to pull back and make a sharp critique of campaign finance reform. There are no direct parodies in the film except for the Motch Brothers standing in for the Koch Brothers. For those unfamiliar with the Kochs, they’re rabid industrialists who have taken full advantage of the Citizens United ruling to fund the bejeezus out of the Republican candidates. The Motches’ plan is to turn Cam and Marty’s district into a sweatshop with Chinese laborers (“Insourcing!” one of the brothers proudly calls it), and it’s a stab at satire the film doesn’t attempt to make anywhere else. This attempt slightly diminishes the rest of the film because we’re left to wonder what The Campaign could be with a little fine tuning. Sharp political comedies are in short supply (The Daily Show and The Colbert Report fit the bill on a nightly basis, but in terms of feature films, the last great satire was In the Loop), and Ferrell and Galifianakis are talented enough to do more than simply go broad. The Campaign shouldn’t be criticized for something it’s not trying to be, except it occasionally wants to be that thing. It’s as if Jimmy McMillan (“The Rent Is Too Damn High” guy) wanted credit for making a comment on nuclear disarmament. You’re too preposterous to be taken seriously, so your other point is diminished and ignored despite its validity. 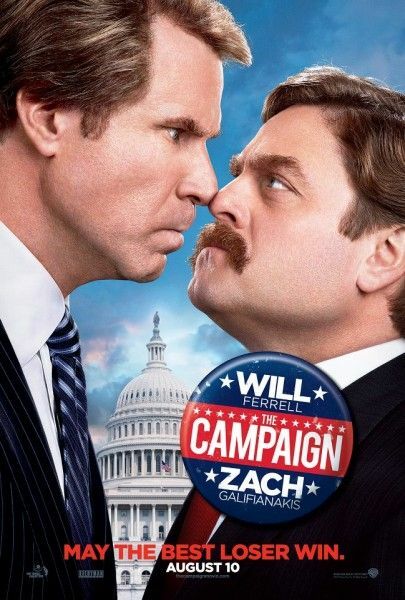 By making a serious point in a goofy comedy, we see the easiness of The Campaign and are left to wonder why we’re watching politics as opposed to any other world where Ferrell and Galifianakis could play rivals. But it’s hard to be angry at a movie that wants to make its audience laugh and then does so exceedingly well. 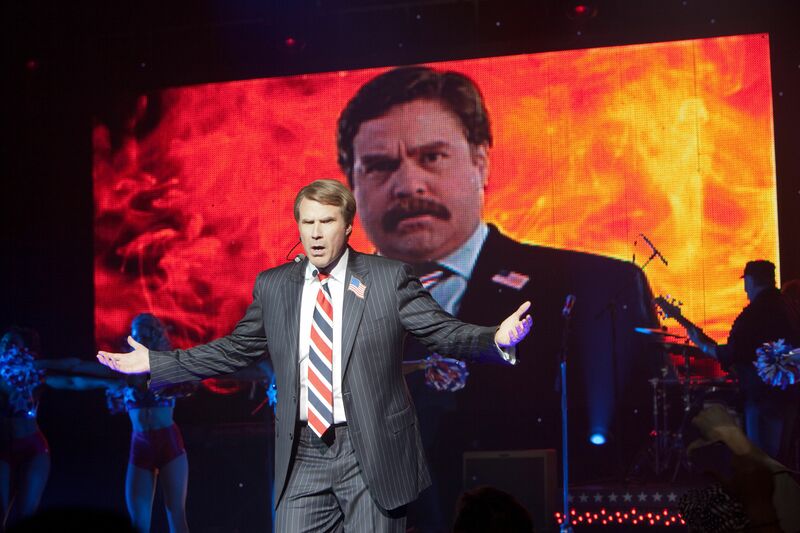 Ferrell and Galifianakis are singular comic talents and we’re lucky to have them sharing the screen. Candidates rarely deliver on their promises, but the pairing of these two comic talents squaring off in an absurd situation is worthy of our vote.